LEASED THRU 12/31/19 COMFY FURN/UNFURN 2BDRM + DEN,2-FULL BATHS, GREAT RM w/GAS FIREPL & HUGE EAT-IN KTCHEN w/CORIAN COUNTERS,GAS RANGE,BRKFAST BAR,DBL OVENS-LOADS OF CABINETS,DRAWERS & PANTRY.MSTR BDRM SPLIT, BATH W/DBL SINKS,SEP.TUB & SHWR,WALK-IN CLOSET. DEN LOCATED OFF GREAT ROOM W/YARD VIEWS. 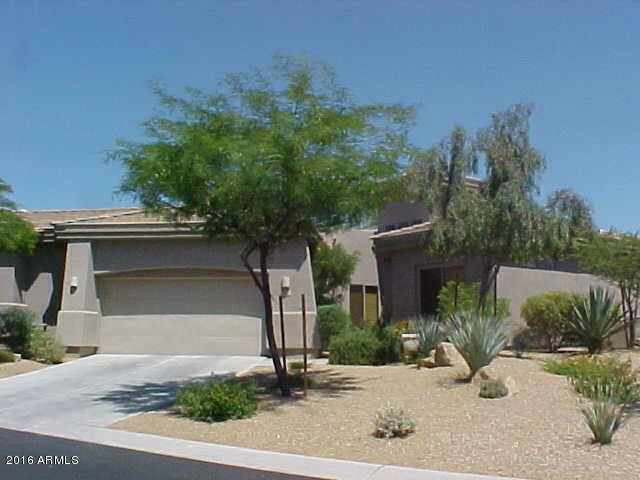 LAUNDRY RM w/STORAGE & OVERHEAD CABINETS.YARD W/BLT-IN GAS BBQ & FIREPIT, COVR'D & OPEN PATIOS IN YARD w/DESERT LANDSCAPE. LGE 2-CAR GARAGE w/BLT-IN CABINETS. CEILING FANS,SHUTTERS/BLINDS T/O,TILE IN ALL AREAS-XCEPT BDRMS. FRONT LANDSCAPE INCLUDED IN H.O.A.approx. 13,500SF COMM CLUBHOUSE w/EXERCISE RM,LOCKER RMS,HTD POOL/SPA,BBQ'S,CAFE,BILLIARDS.TENNIS CTS & smaller CLUBHSE/MTG ROOM. HIKING/BIKING TRAILS. *NO CATS*NO BIRDS**TENANT RIGHTS* exist.SEASON RENT $4500/month; Off Season $2300/mo. plus utilities. Annual $2200/mo. plus utilities and backyard landscape. Check with Lister for less than 12 months (in/out of season combined).